Colorful and fun to crochet, this adorable blanket will be a favorite to create and to love. 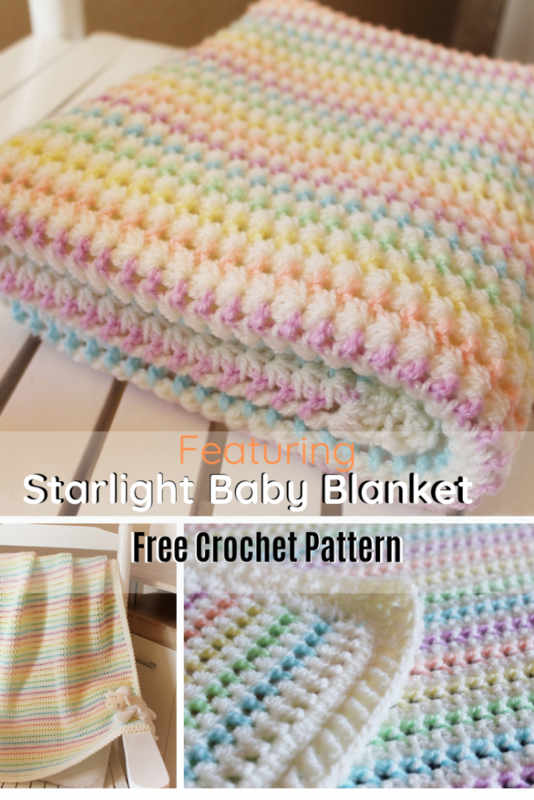 Starlight Baby Blanket free pattern by Barbara G Smith is a beautiful multi-colored baby blanket in pastel colors…because pastels are for babies! So lovely and a great fit for girls and boys, this baby blanket crochet pattern may soon become you new go-to pattern for baby shower gifts. Get the pattern: Adorable Starlight Baby Blanket Free Pattern. Thanks to Barbara G Smith for the article inspiration and featured image.